We hate to admit it, but until this season, we’ve never visited June Mountain. Being the “little brother” resort, it’s easy to get overshadowed by the bigger and snowier sibling. Like many a visitor before us, why would we want to leave Mammoth’s amazing terrain and drive 30 minutes to June? Now that we’ve visited this special place, we’ve realized that EVERYONE should make a point to visit! Here’s 5 reasons to make a trip to June Mountain. The first and most important factor to us is even on the busiest days, June Mountain maybe has 1,800 visitors at the MOST. With 1,500+ acres, that’s almost as empty as resorts like Whitefish, MT. We’re not talking just short lift lines. We are talking about actual powder that can be had DAYS after a storm. Another major check box marked in a HUGE way is the scenery. As soon as you make that turn onto the June Lake Loop, you’re greeted to what might be some of the most majestic views in the United States. The steep horseshoe shaped canyon will remind you more of Telluride or even the Alps in Europe than California. And as soon as you’re whisked up to the higher elevations via a chairlift, the landscape becomes even more spectacular. These views make even a quick trip worth it. On the surface, June Mountain is a family resort. There’s A LOT of low angle corduroy to learn on that’s reminiscent of classic Colorado skiing. But for those looking for some serious big boy steeps, it’s all about the main face off of J1 chair. Don’t worry if there’s a lift-line though. Most folks are actually trying to get to the higher terrain which is MUCH flatter. Big caveat first… if you do go backcountry, NEVER forget to bring an avalanche beacon, probe and shovel, a solid touring plan, and a great backcountry partner(s). Just because you can access it via a lift doesn’t mean its safe. With that said, those spectacular peaks surrounding June Mountain can be accessed easily with a little bit of work. The Eastern Sierra are no joke so we recommend picking up a copy of Nate Greenburg’s Backcountry Skiing California’s Eastern Sierra to help with route finding. There are a lot of ski towns that are built solely around a resort. Places like Whistler or Vail come to mind. They feel more like Disney World than a real town. June Lake isn’t one of those. It may not be a ski-in/ski-out village, but it’s a place where you can park your car for the night, grab a beer from June Lake Brewing, and walk over to The Lift for some amazing dinner. While we love Lake Tahoe, there are certain times of year that it just gets a bit too hectic for us. You just need to escape the crowds and explore another mountain. While most of our options to avoid the masses such as Nelson, McCall, or even Whitefish, they are a bit too far for a quick trip. We can’t say how excited we are to have found June Mountain. 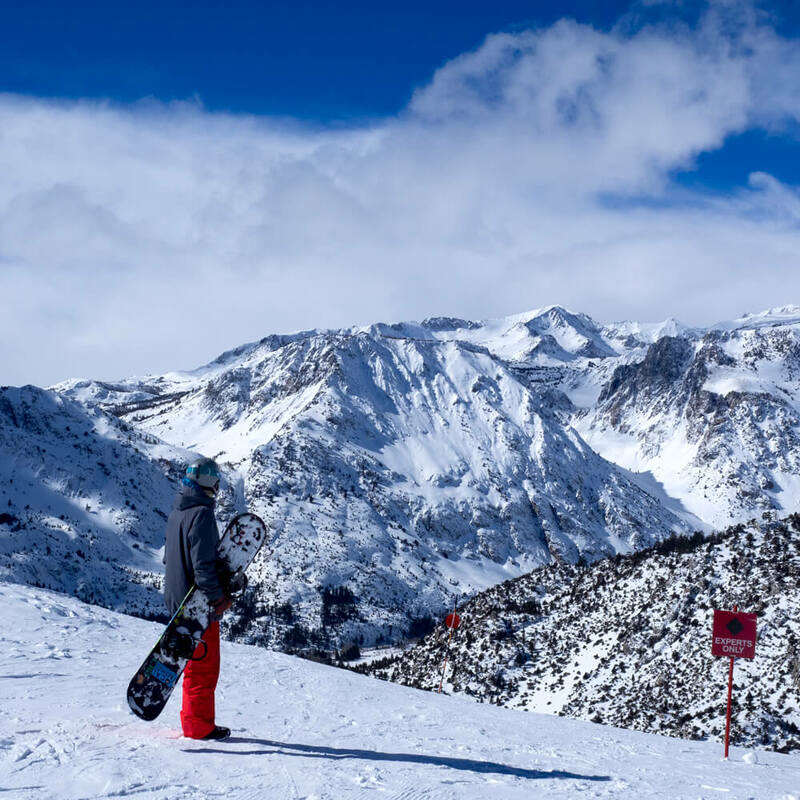 So, the next time you’re looking for a place that’s chill, has amazing cuisine, and is all about the skiing, consider the town of June Lake and shred the cozy resort of June Mountain. You won’t be disappointed. Delve into the revival of the town of June Lake.